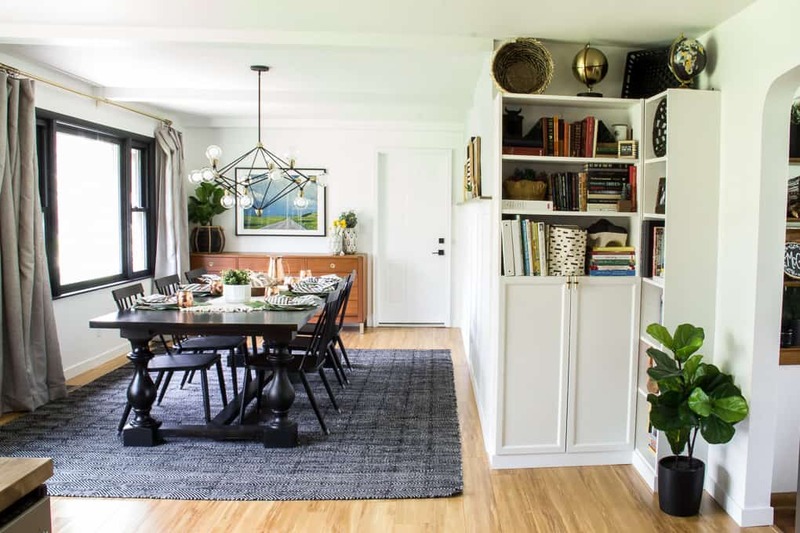 I’ve been SO excited to talk to you guys about our modern kitchen and dining room makeover plans! In the next six weeks I’m going to be making over our kitchen AND dining room! 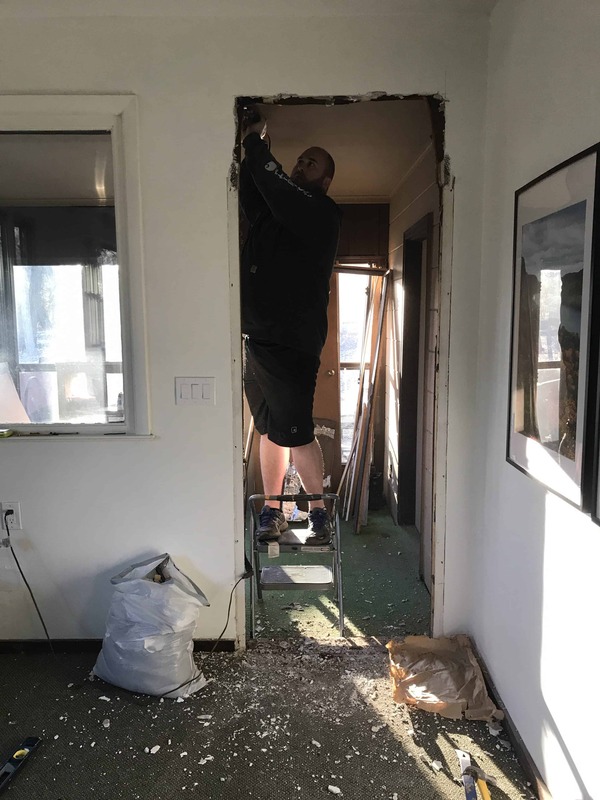 Before I could begin this renovation, we had to tackle the sunken living room. Today I’m talking all about how we raised our sunken living room. Over the last few weeks we’ve been working hard to get our sunken den raised up to the level of the kitchen. First I closed off the door to the garage from the sunken room. This was simple and done with a few 2×4’s and some fire rated drywall. While I was prying off the old trim a piece nailed me in the forehead causing a bit of a scare that involved a lot of blood and a few minutes of panic! Thankfully I’m healing fine! Then we raised up the door to our sunroom, which is our future mudroom. This involved cutting into the drywall, installing a new header, and installing an exterior door. Eventually this will be a framed opening to the mudroom, but until we tackle it we still need a door here. 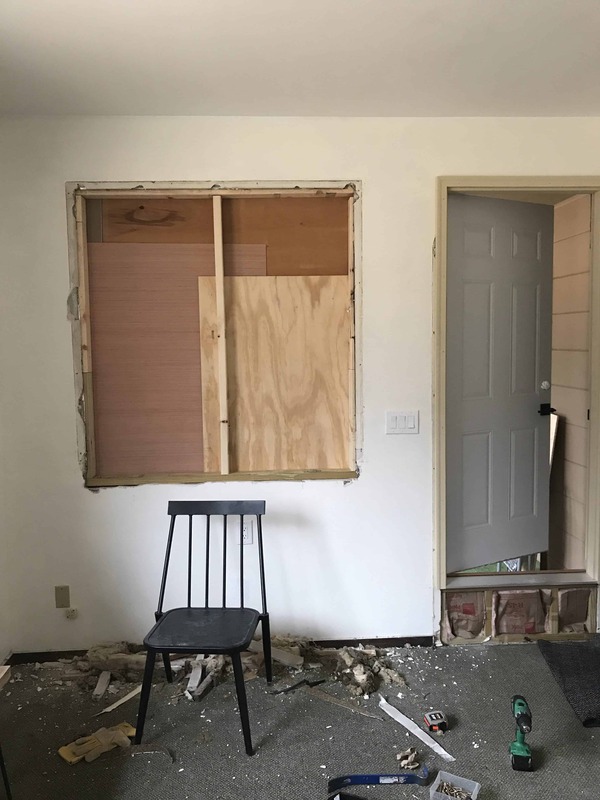 Then, one day while Matt was at work I tackled removing the MASSIVE window from this wall. It took a lot of cutting, prying, and pushing, but eventually I was able to push it out without breaking it! Then I hung drywall over the old window opening. 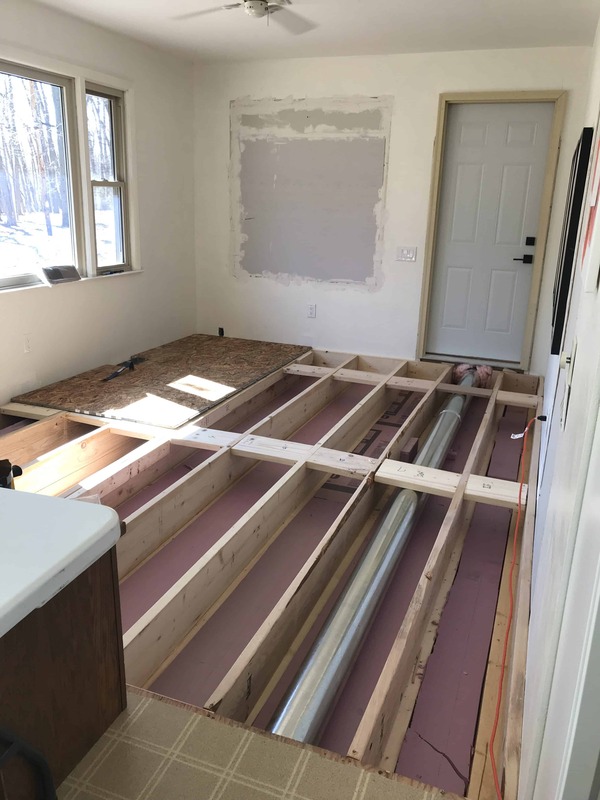 Next we built a frame for the new floor and had an HVAC guy come and run two new heat runs for this room, as well as heat for the future mudroom. We also insulated this room because it is just built on a concrete slab. We also had an electrician raise up all of the outlets and switches in here, so that they wouldn’t be too low! 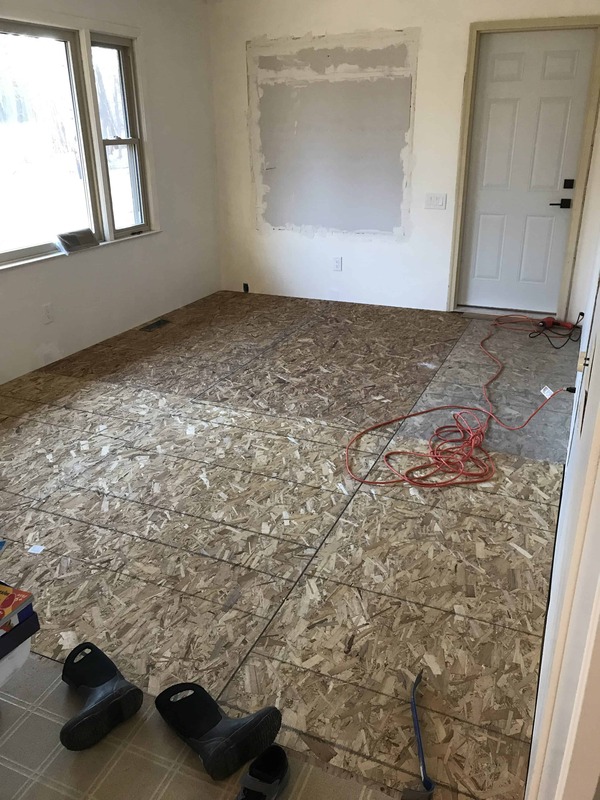 Finally we laid 3/4″ tongue and groove OSB and screwed it in everywhere. This was a long time coming and it felt so good to finally be able to walk from the kitchen to the dining room without a step! That’s where we are at today! In total I’ve already been working for about a month to get to this point, but I just knew if I waited until the One Room Challenge started that it would be too much to tackle. It’s crazy how much bigger both rooms feel now that this is done. Obviously we still need to install flooring and finish the drywall, but we’re already loving this space! 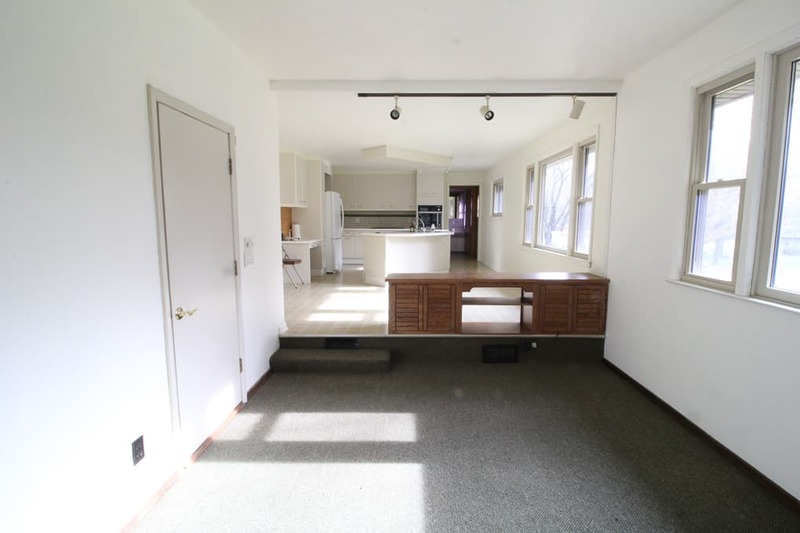 If you’ve got a sunken den, a sunken living room, or a step down that you don’t love, I hope this post encouraged you that changing it is possible! 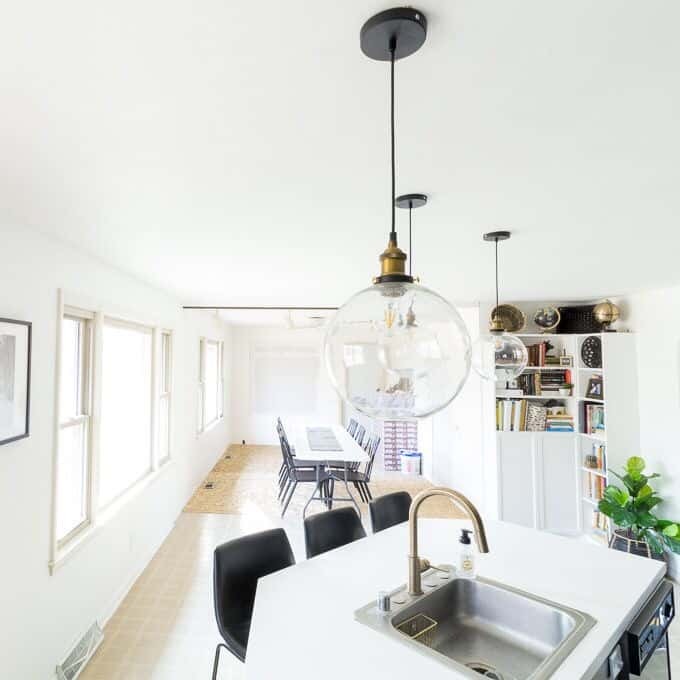 By doing this we gained valuable square footage and modernized our home. Thanks a ton for stopping by to read! 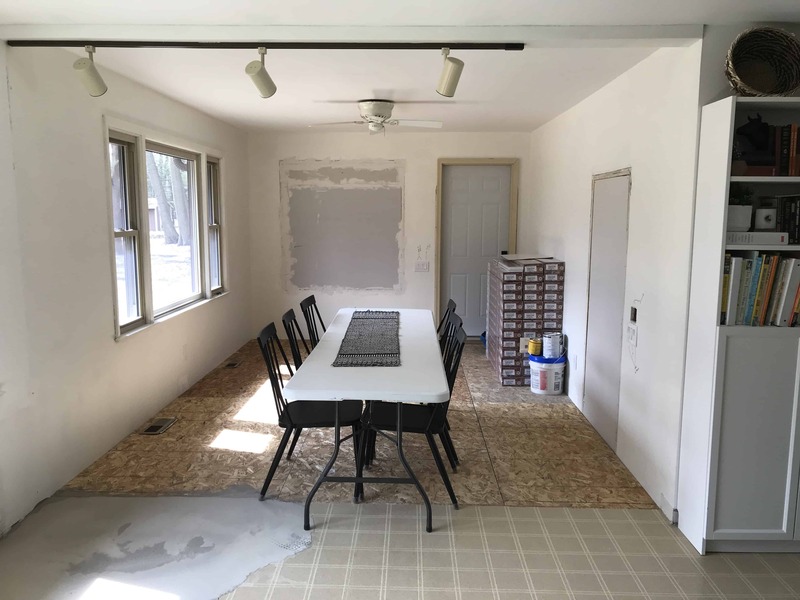 **Update** To see the dining room reveal head to this post! I’ll share one sneak peek picture! fantastic foundation work being done already! can’t wait to see the kitchen and dining room done in a few short weeks! Thank you so much. It’s crazy how much I have to accomplish during this short challenge! Hopefully I can get it all done! 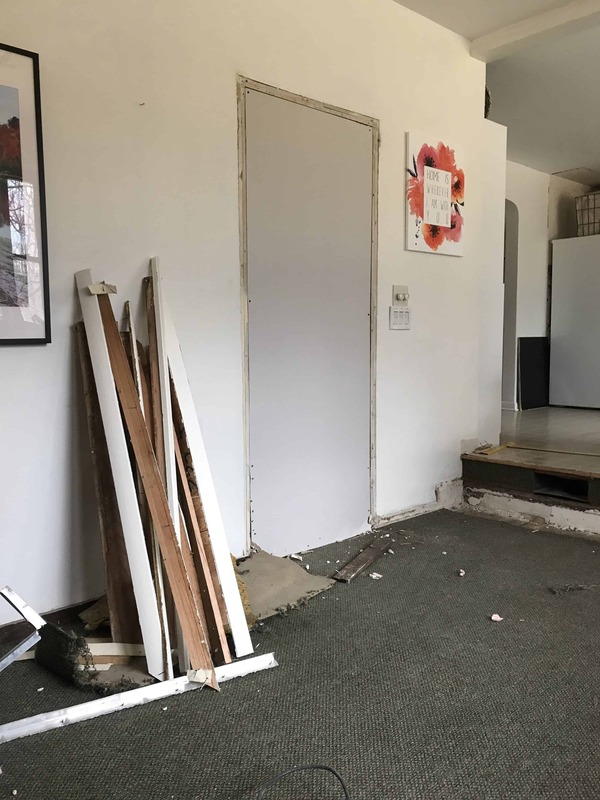 I realize this is an older post, but i am going to do a similar project … did you have to remove the drywall from the base of the walls before attaching the new floor? I didn’t remove the drywall but I made sure that I secured the boards into studs with long screws through the drywall.